O Scorial Rio Hotel é sem dúvida uma das melhores opções de hospedagem na cidade do Rio de Janeiro. Sua localização privilegiada facilita o acesso dos hóspedes a alguns dos mais importantes pontos de interesse e cartões postais do Rio, sem esquecer a proximidade ao Aeroporto Santos Dumont. Nossos confortáveis quartos estão totalmente equipados com internet wi-fi, TV a cabo, cofre privativo, ar condicionado, piso antialérgico e telefone. Também temos quartos especiais para portadores de necessidades especiais. Petit Rio Hotel is situated in Rio de Janeiro's South Zone, 2 blocks from Catete metro station and 3.4 km from Sugarloaf Mountain. Complimentary breakfast is served daily.Rooms have a flat-screen 40' Smart TV, minibar and safe. 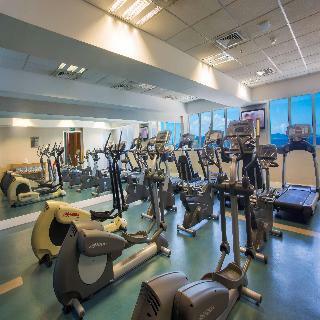 Extras include free toiletries and a hairdryer.There is a 24-hour front desk and a shared lounge at the property, as well as a business centre.Cristo Redentor Statue is 4.2 km from Petit Rio Hotel, while Maracanã Stadium is 6 km away. Santos Dumont Airport is 2 km from the property. The Royal Regency Hotel features spacious rooms beautifully decorated and equipped with the best to meet your needs and make your stay WONDERFUL. 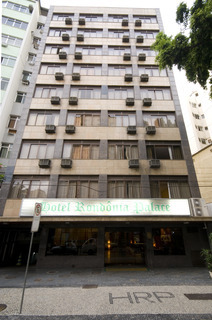 The hotel is located in one of the most charming neighborhoods of Rio de Janeiro, between the Largo Metro stations Machado and Catete, just steps from Flamengo Park, five minutes from the city center and ten of Copacabana, with a central location thus providing quick access to all the sights of Rio de Janeiro. The Royal Regency Hotel features spacious rooms beautifully decorated and equipped with the best to meet your needs and make your stay WONDERFUL. The hotel is located in one of the most charming neighborhoods of Rio de Janeiro, between the Largo Metro stations Machado and Catete, just steps from Flamengo Park, five minutes from the city center and ten of Copacabana. 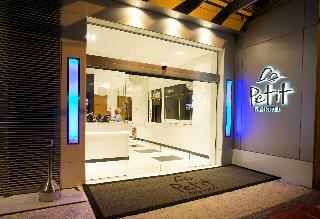 This 3 star hotel is located in the city centre of Rio De Janeiro. 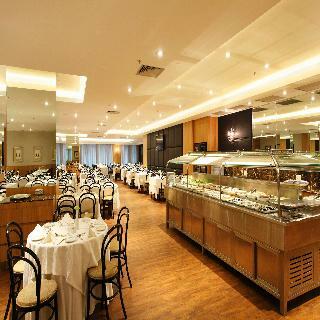 Ideally situated in Rio de Janeiro, just a few minutes' walk from Flamengo Beach, this prominent hotel offers a great base for both business and leisure travel. Catete metro station is only two minutes' walk from the hotel, bringing guests quickly and easily to the bustling city centre. 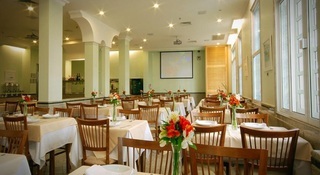 Guests might go for a walk along the world-famous Copacabana Beach, just 30 minutes away via metro, or venture into the city centre for its National Museum of Fine Arts and National Historical Museum.The hotel's cosy guest rooms and suites are simply furnished for a relaxed and inviting atmosphere. Guests can lounge on the sunny terrace by the refreshing outdoor pool, and might choose to dine on both local and international dishes in the modern, buffet-style restaurant. Business travellers might also make use of the conference centre with 15 versatile meeting rooms and a range of helpful services, all for a high-powered business trip to Rio. The property consists of 122 rooms. This attractive hotel is perfect for a weekend getaway or longer holiday. The Hotel provides 24-hour reception. Guests can make use of internet access to stay connected to work or home. The establishment is wheelchair-accessible. The on-site car park may be useful to those arriving by car. Check-out is at noon. Pets are not allowed on the premises. The Gamboa Rio Hotel has 56 rooms with LCD TV, minibar, private bathroom and air conditioning. Located in the area of the project "Marvelous Port", which includes the development of the projects museum MAR (Art Museum of Rio), or where the Museum of Tomorrow (designed by Spanish architect Santiago Calatrava) will be, the Pier Maua, the new headquarters of the Bank of Brazil, the new Trump Tower Rio, the headquarters of Tishman Speyer (the British architect Norman Foster), among others. 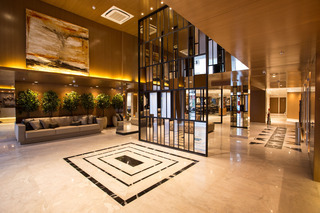 The reception and lobby, inaugurated in 2013, offers more confort and services for our guests. The entire hotel has Wi-Fi connection to connect to the Internet. 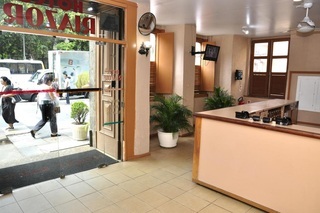 Close to subway station Presidente Vargas and located near several bus stops, the strategic location of the Gamboa River Hotel allows you to have easy access to the main tourist attractions. 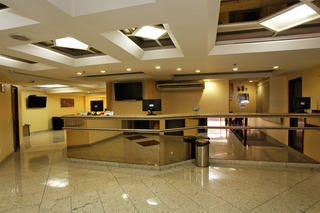 For corporate customers, the Gamboa Rio Hotel is also a great option because it is located close to major companies and organizations such as Embratel, Contax, ANAC, Lojas Americanas, Light, among others. *Parking: 25 R$/day.